Enabling amazing experiences begins with loving what you do. That’s why we are committed to creating an environment where you are excited for every shift. Find your passion. Try different casual roles before asking us to find your dream permanent job. Gain experiences of a lifetime. Be part of the action at Michelin-starred restaurants, five star hotels, and internationally renowned sporting events and concerts. Progress your hospitality career. Gain experience within our casual team and grow into a Team Leader, or start as a Commis Chef and shadow a Sous Chef before moving up the ranks. Your ideal job is one that inspires and challenges you each day and allows you to do what you love. 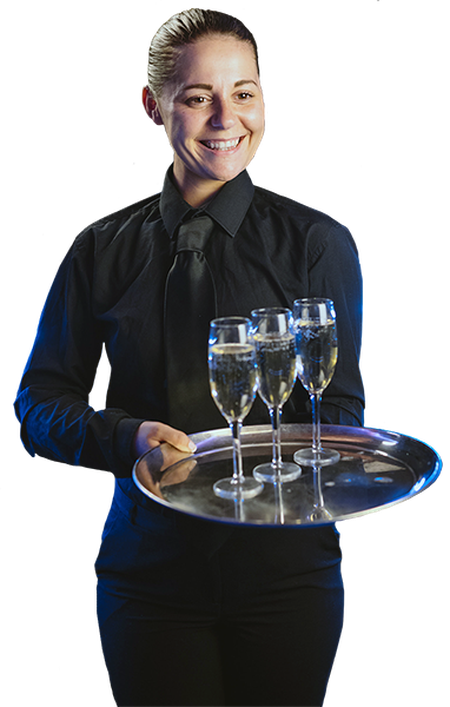 Having worked in hospitality ourselves, we know that finding your ideal job requires more than matching your CV to a job description - it’s about matching your ambition, personality and ideal company culture as well. Whether you crave new experiences each day or are seeking steady growth, being part of our casual team offers flexibility and excitement. You can opt to work a banquet at the National Gallery one day and a concert at The O2 the next, or work regular shifts with the same venue. Apply for your dream job or register to join our casual team! This year I had the great experience of working at the Buckingham Palace garden parties. I made great friendships with Off to Work staff, saw the Queen amongst other amazing people. Certainly a once in a lifetime experience for me and I couldn’t do it without Off to Work! I enjoy working for Off To Work because it's full of beautiful people, beautiful places and beautiful standards. I love the operations team, I often love all the clients that I work for, my colleagues are always wonderful, interesting individuals that make me look forward to meeting new people at a different shift or seeing the friends that I've made again! You experience so many different things that otherwise you wouldn't. You meet so many new people and make friends, you learn teamwork skills, how to work and deal with pressure, you learn patience. You even learn to deal with all kinds of people! It's not just serving food or drink - this job teaches you some valuable lessons of life too!